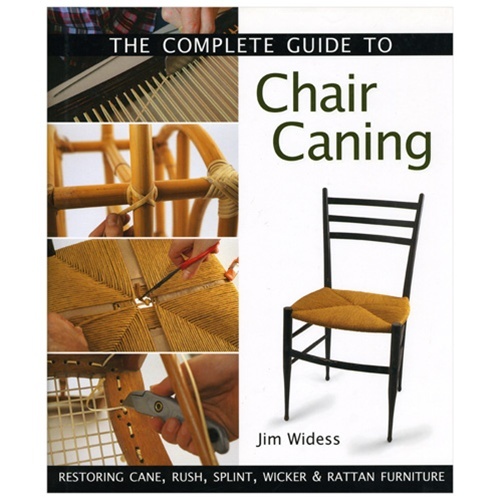 Jim Widess, co-author of the best selling Caner's Handbook, owner of The Caning Shop, and one of the field's top authorities, presents crafters with five amazingly detailed chairmaking projects they'll treasure for years to come. Best of all, with the help of a thorough basics chapter, reader-friendly instructions, and a plethora of illuminating color photographs, even beginners can complete every beautiful item. 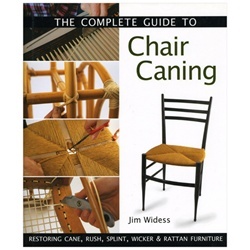 Find out how to use machine-made caning to restore an old chair, or create an entirely new one by hand. Fashion a durable and comfortable rush seat, using fiber that's twisted into long strands, or create a traditional splint-caned porch rocker. There's invaluable information on the different types of available cane, various woven patterns, and interesting rattan wraps.